How often do we think about our life? About our purpose of existence on this Earth? Its just that when we get so melancholic with our heart that feelings inside start to erupt thus leading into a turmoil of emotions. That is the time when we ponder over these basic questions of mankind and search for an answer to those. 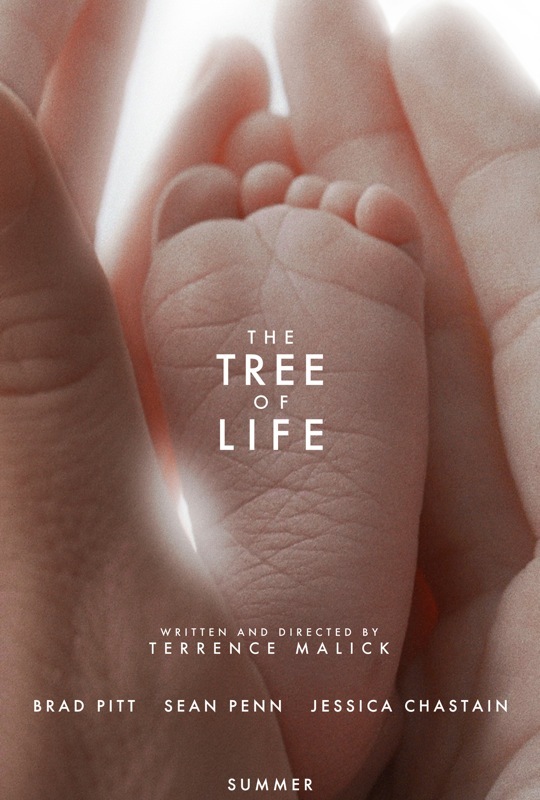 The Tree Of Life focuses on such an aspect of a 1950s American family. The O’Briens have lost one of their sons, and the entire family is left into retrospection of their past, especially the elder son. He is thrown into a guilt of arguing about his brother’s death with his father. Amidst the towering buildings which he builds as a part of his profession, he looks out to the skies, to the Gods for the meaning of life. The film rolls through vivid imagery describing the origin of universe and life, ultimately focusing upon the lives of the O’Briens. The story depicts the life of the children from their birth to their growing up into adults, everything under the influence of an affectionate mother and a strict and authoritarian father. With visually stunning photography by Emannuel Lubezki and divine music to accompany it, the movie went on to win the Palme d’Or. It received further Academy Award nominations too. The extreme slow pace of the movie can bore the public sometimes. But for movie aficionados, it is definitely a lesson in direction and cinematography.